So if you are confident that you possess some degree of musical talent, be it singing or playing and instrument, or you just want to learn a new app, GarageBand is here for you. This is basically an app sold and developed by Apple for iOS and macOS. This is a favorite to many as it offers an alternative option to visit a studio. Everyone knows how expensive that can be, especially for young people who wish to make an entrance into the music scene. It has come in quite handy in this regard, and have you ever wondered how DJs make the out-of-this-world sound effects? That’s right; GarageBand is not just for singers. What features does GarageBand have that make it so special? It has selection software versions of instruments to choose from. It would be easier to use these instruments after understanding the sound through actually learning an instrument. If you are already familiar with a musical instrument, your transition using and applying these instruments and sounds will be way smoother. Familiarity with a musical instrument is sometimes crucial. Especially if you make a piece of music, it is obvious that instruments go a long way towards ensuring the mood intended actually portrayed accurately simply by using the right instrument. It also gives it a unique and personal touch. Allow you to do audio recordings of actual instruments via the microphone. This is also how one records her/his own song. Helpful Hint: The microphone can be sensitive to even the softest kind of background noise. Use it in a quiet environment to avoid do-overs. No need to purchase or borrow an actual instrument, to use GarageBand. There are a number of virtual musical instruments at your disposal. Electric guitars produce some of the most unique sounds in music. It cannot be duplicated by any other instrument and this feature not only enables its use, but you can adjust the settings such as amplifying or sustaining a note to suit your particular sound. GarageBand has a collection of several virtual musical instruments for you to practice on. 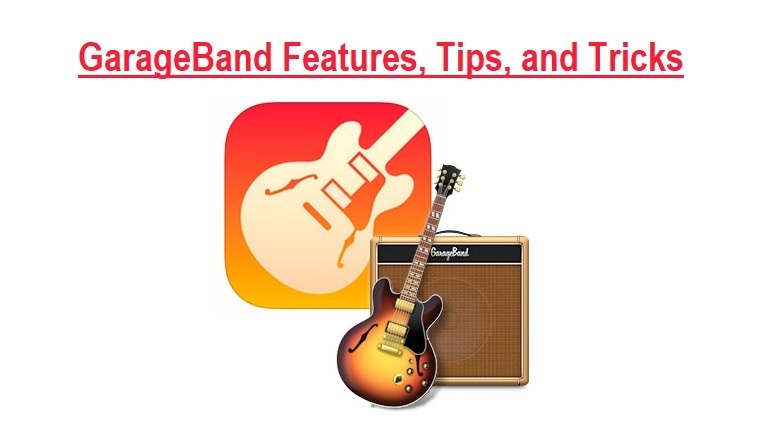 Now in recent versions of GarageBand, there are music lesson services for piano and guitar. There are two packages offered for this purpose. Basic Lessons - Offers music lessons at no charge for both piano and guitar. Artist Lessons - You have to purchase this package to use it, it is, of course, more detailed than Basic. It would be a good idea to start with the Basic Lessons just to get the general gist of musical instruments. No time to learn or record your own music clips? That is totally fine, GarageBand comes with its own sound recordings. Furthermore, you can actually select the loops that you like based on what you want to do. The multitude of loops feature a wide variety of musical instruments and not only that, allow you to select the tone, genre, and mood. This is achieved thanks to the use of “Loop Browser” that enables one to filter based on the desired characteristics of these clips. In addition to that, you can save time by double-clicking any one of these loops to gain more insight on the duration, key, and tempo. The loops can also be merged with your pre-recorded original track. GarageBand allows you to import media from iTunes. You can add your favorite tracks or beats in your Apple device to your tracks. Alternatively, you can download media from the internet. To ensure originality, you can sample the editing tools and features on GarageBand. You can also combine different music tracks using these edit features. Editing also includes the Split options in which can be applied to a single track and change its sequence or arrangement. Editing also entails the adjustment of the pitch, volume, and duration. You can share your music by uploading them to iTunes or burn to a CD/DVD if you prefer. As you can see, GarageBand is like your own personal studio. It may take a while to get the hang of it, but is totally worth it! Know more from the source click here.